So have you ever wondered how to put on a Edinburgh Fringe Show? I have been involved in this spectacular for 20 years now and yet I feel I could still learn quite a lot. So when a friend of our site Ian Fox decided to write this guide I decided I had to get a copy of his book after all Ian has been writing producing and performing at the Fringe for years and years now so if anyone knows how to do it then it has got to be him. His book is available both as a download or a hard copy and if you are interested then the links are attached below. 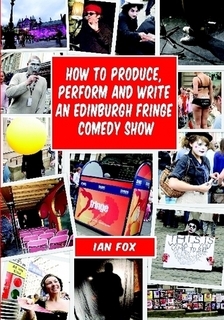 http://www.lulu.com/product/paperback/how-to-produce-perform-and-write-an-edinburgh-fringe-comedy-show/18933562 for the print copy. Do come along and vote forIreland’s stars of tomorrow as they battle it out in one of the most prestigious comedy competitions. See Ireland’s six best breakthrough stand-ups perform to become the Ireland winner, which ensures a place in the UK & Ireland semi-finals of Amused Moose Laugh Off (supported by 2entertain). 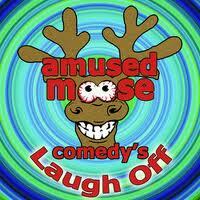 Tonight’s winner will progress to multi-award winning Amused Moose Soho in London, prior to the prestigious Final which is a feature of the Edinburgh Fringe, with the Trophies presented by the Chief Executive of the Fringe and MD of 2entertain, the UK’s leading dvd publishers.